You are here:Home » Category: "General Dentistry"
Putting your faith into a dental professional to be your sole person you rely on for dental advice can be a big decision. With so many dental professionals out there, how do you know what to look for? While having credentials is key, that sometimes isn’t enough to pick the right person for you and your family. By taking a deeper look at what your wants and needs are when it comes to a dental professional, you can make a more informed decision when choosing yours. If you are going through the process of looking for a new dentist for you and your family, here are a few deciding factors. While the location of your dentist isn’t necessarily going to give you much information about whether or not they are a great practitioner or not, picking a dentist in a convenient location is key to your overall dental health. If you choose a dentist that is too out of the way or hard to get to, you have one more reason not to book an appointment. By having a dentist that is close to where you and your family live, work, and play, you won’t have that excuse holding you back from making your routine visits. Let’s face it, going to the dentist isn’t the most exciting part of your day. In fact, most people would probably rather stay at work or school than have their teeth worked on by a dental professional. As true as this may be to you, having a healthy mouth is necessary to live a healthy life. Because of this, you want to make sure your dentist’s office isn’t a place you try to avoid like the plaque! By choosing a dentist with an inviting office and welcoming staff, you have that much less to worry about when you stop in for your appointment. Even if your teeth are as healthy as can be right now, they may not always be that way. While flossing and brushing regularly is the best way to avoid any serious problems down the road, you never know what unexpected events could cause you to need some special dental attention. With this in mind, it’s important to choose a dentist that offers many different services to make sure you have an easy time getting the care you need. One of the best ways to see if you would like to visit a certain dentist’s office is to check the reviews. The internet nowadays has tons of people offering up personal testimonials for local dentists, so make sure to take a read through to see if it sounds like an office you would like to visit. If you are in the Shelby Township area and are looking for a new dentist, you are in luck! The dental professionals at www.thegentledentist.com meet all of the above criteria and are sure to blow you away with their services, professionalism, and kindness. While it might not be the most exciting part of your day, the few minutes you take to take care of your mouth each day can be among the most important things you do for your health. By keeping your teeth and gums healthy, you are taking important steps towards preventing oral health problems and working towards a vibrant, shining smile. While everyone knows it’s important to take care of your teeth and most everyone knows why, the process of making it happen can be a different story. Even if you think you are doing a great job in keeping your oral hygiene as great as it can be, it can always be helpful to receive some reminders for what’s the most effective. When putting together your oral hygiene plan, make sure to think about employing the following strategies as you see fit. By far the most important aspect to any oral health plan, brushing and flossing daily is the best foundation to build your oral health plan from. While the time investment is very small at about 5 minutes a day, brushing and flossing everyday can go a long way in preventing all types of oral health problems. It is recommended to brush at least twice daily, once in the morning and once before bed, but after every meal would be ideal. 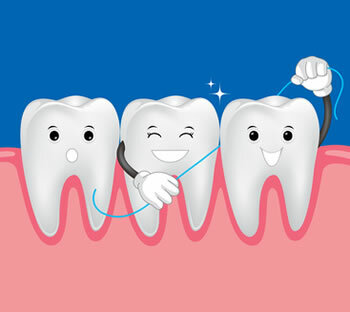 Flossing can be a little less frequent at once a day to make sure you’re getting all the spots your brush may miss. While definitely not as imperative as brushing and flossing daily, using a high quality mouthwash can help your mouth feel great and your smile shine as bright as can be. Using a quality mouthwash can help to prevent or reduce tartar build up, plaque, and even gingivitis if it is in its early stages. If you are looking to whiten your teeth as well, make sure to get a mouthwash that has the added ingredients for an even whiter smile. While you can certainly do a lot at home to make sure your mouth is healthy and free from oral health issues, you still should see your dentist at least twice a year for a cleaning and routine check up. While you may think there is no need to go in, your dentist will be able to professionally clean all the parts that are easy to miss even with the best brushing, flossing, and rinsing regimen. In addition to getting your mouth as clean as possible, your dentist will be able to properly diagnose any problems as well as tell you what you could be doing better to improve your oral health routine. Finding a great dentist right here in the Metro Detroit area has never been easier. With years of experience and tons of satisfied patients, get in touch with the folks at The Gentle Dentist today to schedule your first dental appointment! For those who have sensitive teeth, nothing could be worse than having a delicious bowl of ice cream followed by a piping hot shot of espresso. While we may envy our friends who can indulge in this seemingly high-class dessert, we wouldn’t dare put our sensitive chompers through that kind of torture. While living with sensitive teeth can be an inconvenience, it can also be made more tolerable by taking a few preventative measures. 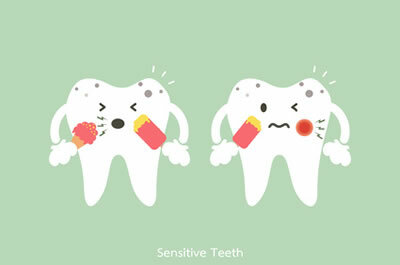 Before we get to how we can fix tooth sensitivity, it’s important to know how it happens. We use our teeth pretty much all day, everyday. Every bite of food, every sip of drink, and every breath we take must first pass through our teeth. Overtime, our teeth can get worn down and become more and more sensitive. If you drink lots of sugary drinks or don’t take care of your teeth as well as you should, the process can happen even quicker than normal. After layers of enamel have been worn away from your teeth, you will be able to feel it more and more when you have hot or cold food and beverages. Now that you know briefly how you got to this sensitive point in your life, it’s time to learn how you might be able to get on the path of fixing your sensitive teeth. There are several great toothpastes on the market today that can help you to rebuild your enamel and lessen your tooth sensitivity. By using a toothpaste of this kind on a daily basis, you can make progress towards less sensitive teeth. Many people simply buy the first toothbrush they see at the convenience store. If you have sensitive teeth, it’s a good idea to take some more time for your next toothbrush replacement trip. By getting a soft bristled toothbrush, you can be sure your brushing isn’t doing any damage when you brush your teeth (twice daily!). If you want to get away from where you are now in terms of tooth sensitivity, it’s probably a good idea to stop doing the things that got you there. If your diet is full of sugary or acidic food and drink, it’s time to take some of those harmful things out of your diet. By not adding to the problem, you can focus more on the solution. If your tooth sensitivity gets to be severe, it’s a great idea to pay your dentist a visit. They will be able to properly diagnose how your teeth got so sensitive, and can also help to make sure you’re on the right path to making your teeth less sensitive, to allow ice cream and espresso a dessert option once again. I’m Looking for a Great Dentist Near Me! If you’re looking for a great dentist in the Shelby Twp. area, look no further than The Gentle Dentist at www.thegentledentist.com! We care about our patient’s teeth and want you to enjoy all the pleasures in life, like great food and drink, while keeping your mouth healthy. Schedule your dental appointment today by calling 586-247-3500. Summer time in Michigan is finally here. Your schedule is surely packed with pool days, beach trips, camping trips, and days spent doing nothing at all. With the perfect weather here at last, it can be easy to have nothing else on your mind other than relaxation. While this is certainly the time to do it, it’s also the perfect time to catch up on your dental health if you have been putting it off for a bit too long. While going to the dentist typically isn’t the ideal summer activity, it can be a great time to get your oral hygiene back on track as work and school-related activities tend to slow down. Even if you haven’t been to the dentist in a long time, there isn’t much to be afraid of. With all the advances in dental technology in recent years, even the most anxiety producing procedures are now virtually painless. If it has been a while since you have been to the dentist and are looking for a little motivation to make the appointment, here are a few signs you should schedule your dental check up sooner rather than later. 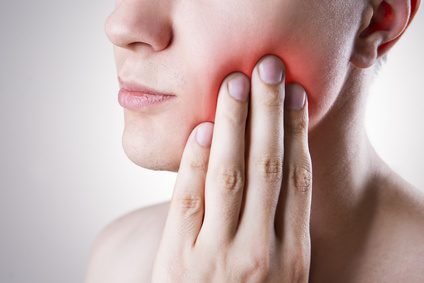 Having any pain in your teeth is a sure sign that you should make your way to see the dentist as soon as you can. While your tooth pain may be nothing at all, it could also be the beginning of a more serious problem. As no one will be able to tell for sure other than a dental professional, getting in to see them soon will be the best way to make sure you won’t be making any issues any worse. 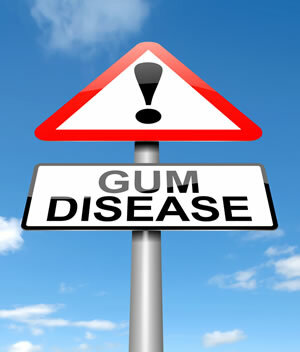 Gum disease and gingivitis are extremely common among adults in the United States. If you have been noticing blood in your sink after you brush and floss, you may want to get your gums checked out to see what is going on. As healthy gums are not prone to bleeding, this could be the sign of an underlying problem with your oral health like gum disease or gingivitis. Even though these issues are typically easy to deal with and you will be able to get back on track in no time, you will need the help of a dentist to get things figured out, so don’t delay! With all the regular indulgences of our everyday life like coffee, soda, and smoking, especially, your smile may begin to lose its shine over time. If you want to brighten things up a bit and wish to speed up the process, summer is a great time to talk to your dentist about professional tooth whitening. With so many options available to bring you a brighter smile, heading in to see your dentist is an easy first step. After one or more affordable treatments, you can enjoy a sparkling smile this summer to complement your tan! To schedule your next dental appointment at our Shelby Township dental office give us a call today at 586-247-3500. With the temperature slowly trending upwards here in southeast Michigan, it’s easy to see that spring is on its way. While spring is always a beautiful and refreshing time as we can finally celebrate the winter being over, most people really only see it as a gateway to summer. Yes, days of sunbathing and warm summer nights lie just on the other side of spring. It’s easy to tell people are getting ready with the additional frequent gym members looking to tone up their bodies for summer and people beginning to head to the mall to make sure they are in the best fashion this summer. Another important thing to do before summer rolls around is to make sure your teeth are ready for the change in seasons too. If it has been a while since you have been to a dentist’s office, now would be a great time to make an appointment before summer is in full swing. If you are looking for a reason to go to the dentist, the list is anything but short. To summarize some of the key reasons to visit your dentist before summer, check out the following. It’s no secret that your teeth are pretty important to your everyday life. Every time you take a sip of a drink, a bite of food, or smile for a photo, your teeth are up to the task. To make sure you can continue to do all those things as painless as possible, it’s important to get checked up by a dentist twice a year. If it’s been a little longer than that since your last visit, don’t worry too much but also don’t delay! Get in to see your dentist sooner rather than later to get your check up! Some people tend to think of getting cavities filled as a long painful process. This may have been the case several years ago but is far from the truth now thanks to advances in modern medicine. If you do need to have any fillings done, now would be the best time to take care of them! By getting all your fillings done as soon as possible you will prevent further tooth decay and make sure your teeth are ready for all the summer barbecues on your schedule! If you have been thinking of making your smile sparkle even brighter, make sure to get in to see your dentist as soon as you can! To make sure your new white smile is ready to go before summer, getting in to see your dentist now can ensure you have plenty of time to receive all the treatments necessary to get your smile to where you want it to be. 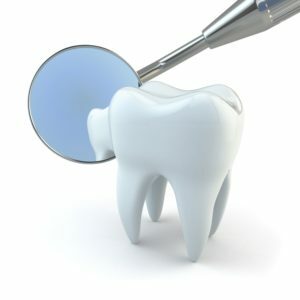 If you are looking for a great dentist in the Shelby Township / Macomb County area, look no further than the dental professionals at www.thegentledentist.com ! When it comes to dental hygiene, there is a ton of information out there. As in most cases, especially when it comes to medicine, much of the information available is conflicted or misleading. If you are worried about your dental hygiene, your first step should be to schedule an appointment with your dentist who can tell you anything that may be an issue. For those of you worried about going to the dentist, there really is nothing to be afraid of. Thanks to advances in modern medicine, dental procedures are now virtually pain-free. If you consider how dental work was done 100 years ago, we are truly living in amazing times! To help shed some light on some of the myths surrounding dental care, here are a few of the most common and the truth behind them! While many people tend to stay away from their gums when they see some blood, the opposite should be the case. Your gums are a great way to tell the overall state of your oral health. When your gums are bleeding from regular brushing and flossing, you should do the opposite of stop! First, you should schedule an appointment to see your dentist. After that, you should continue to brush and floss until your appointment. Many people think that more brushing equals a healthier mouth. In order to have a healthy mouth, a fair amount of brushing is necessary, but it’s important not to overdo it. Too much brushing can actually be bad for your teeth and particularly for your gums. As your gums are fairly sensitive, brushing them too much can lead to gum recession. It’s common for people to believe that they don’t need to have x-rays done to see what the naked eye can’t when it comes to oral health. While dental x-rays may not be necessary every visit to the dentist, it is important to have them done every couple of years to ensure there aren’t any problems you cannot see. X-rays may unveil problems such as cysts or abscessed teeth before you feel the painful effects of them. If you are pregnant, there are some procedures that your dentist will probably hold off on until your new baby is born. However, other than these few procedures, regular dental checkups and treatments pose no problems to pregnancy and, in fact, are recommended. When it comes to finding a tooth brush at the drug store, the options are endless. From different sizes to the varying firmness of brushes, it can be hard to know what’s best. Many people choose the hardest toothbrush they can find, which may not always be the best option. Make sure to check with your dentist to see what type of brush you should be using. If you are looking for a new dental home in or near Shelby Township, Michigan, give us a call today at 586-247-3500. Hi, this Dr. Antolak from thegentledentist.com in Shelby Township. Our phone number is (586) 247-3500, in case you’d like to get ahold of us. I have a hockey helmet and I have a mouth guard. The reason why I have these items out is I want to talk about safety. I have been playing hockey three to four times a week for over twenty years I always wear a mouth guard. This is custom-made mouth guard that we make here at our Shelby Twp dental office. We can make so that it perfectly fits your mouth. You might talk a little bit different but it fits in your mouth perfectly, doesn’t affect your ability to breathe or talk, it doesn’t come out and it’s very comfortable. 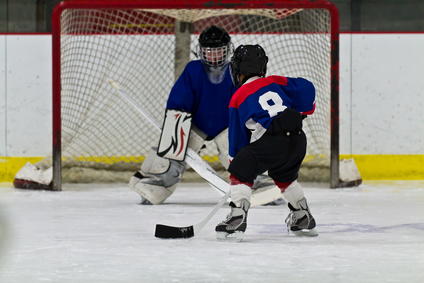 Mouth guards are important for safety in hockey and many other contact sports. They not only help prevent the breakage of teeth in the case you are hit, but more than anything, they provide a relief for concussions. If the lower jaw is hit and it slams into the upper jaw or teeth, this can cause a shock in the brain which can cause some concussion signs. Nowadays concussions need to be dealt with seriously. We know that after so many concussions, athletes are basically taken out of the sport and not allowed to continue just because of their own brain safety and so they don’t develop further problems. So here is how mouth guards work. You need at least about three millimeters of a flexible cushion between the top and bottom teeth in a mouth guard. The beauty of a custom-made mouth guard is not only do they fit well, they basically snug right in. We can smooth down the edges, and even adjust the bite part in the back so that your teeth come together naturally. I still wear a mouth guard when I play hockey in addition to a full cage that protects my face from a stick, puck or anything else. So I wear a combination of both. I am one of few who actually were both a cage and mouth guard on the ice. I don’t get paid enough to risk my eyes, teeth or anything else because they are really valuable. So if you, one of your children or spouse play a contact sport, I would really encourage you to get a mouth guard. Under Armour makes really some nice athletic mouth guards. They don’t fit as well as a custom made mouth guard like we’re talking about, which is made at your dentist. But they do work fairly well. At least get something in there so at least if a blow comes to the head it provides enough cushion and will protect the brain. Also, in case you’re hit straight on a mouth guard will distribute the force from one tooth to a number of the teeth and hopefully protect a tooth from chipping or even coming out. Looking for a Shelby Township Dentist to Create a Custom Mouth Guard? If you are interested in a custom-made mouth guard, contact our Shelby Twp dental office at (586)-247-3500. You can also visit our website at thegentledentist.com. Thank you and have a blessed day. Hi, this is Dr. Robert Antolak from thegentledentist.com. 586-247-3500 is our phone number. We are The Gentle Dentist but we also help provide a number of different procedures in our office which help enhance people’s lives in the oral cavity, in the mouth, smiling, and just overall health. That’s what we focus on. I have a couple of patients who have a condition that’s been diagnosed as Trigeminal Neuralgia or Tic Douloureux. Trigeminal Neuralgia is a neurological issue that comes up and about 12 out of 100,000 people are diagnosed every year- new cases. It’s more common in women and symptoms can be following the nerve path, so the Trigeminal Neuralgia is named by the nerve, the trigeminal nerve. The trigeminal nerve is the fifth cranial nerve, a nerve that actually starts off from the brain. That nerve trigeminal means three – tri meaning three. So there are three branches. There is one that comes near your eye – ophthalmic- right here. Then there’s a maxillary branch and a mandibular branch. So there are three parts here. If we look, it’s definitely contained within the inner part of the skull. The one thing that we really noticed, that happens a lot with some patients, is that they do develop some pain along this pathway of where the nerve is. They can develop it in any one of the branches of the trigeminal nerve, but probably the most common area is in the lower jaw. The trigeminal nerve, as you can see, the mandibular branch comes out here and gives sensation to the lip and the teeth. This neurological pain (a neuralgia) can be pretty extreme. It can go from a burning sensation to a sharp pain. It can be extremely intense and very uncomfortable and come on for no apparent reason. It truly has to be diagnosed by a neurologist to really get an accurate diagnosis of the condition. Now, there a number of different treatments available. This is where you would have to talk with a physician. Some treatments are moderately effective. There are some surgeries that can take place. Sometimes there’s a blood vessel that can actually put pressure on that trigeminal nerve that creates pressure and that pressure on the nerve can create pain in that area. So there are some surgical techniques that the neurologist or surgical physician would go in and relieve some of the pressure. There are things like using a balloon around it to decompress it and to take some of that pressure off of it to hopefully help that patient . The key is that sometimes people think that it’s a dental issue. I just saw a patient actually today who was diagnosed with Trigeminal Neuralgia but she wasn’t really diagnosed positively until after she had a number of her molar teeth extracted. Then the pain continued to take place. We have to be savvy when we look at our patients to diagnose them to make sure that it’s actually not coming from a tooth but coming from a deeper level. If you look at this picture here (see video) this yellow area is a nerve. You can see the branch of this nerve that gives sensation to the teeth and it can mimic a toothache a lot of times. If there’s really nothing wrong with your tooth, but it’s mimicking a toothache that obviously has to raise a red flag to the dentist that’s treating you so that they know the difference between a neurological issue, like Trigeminal Neuralgia or if it’s actually of dental origin. We only have one opportunity to make the right diagnosis so it’s important. Also history is very important when doing a diagnosis. Truly, the people who are in control of diagnosing Trigeminal Neuralgia is the neurologist or physician. Sometimes we can provide treatment from a dental standpoint by making a bite guard for patients if they find they are stretching out the teeth or grinding the teeth. This can reduce some of the pressure off of that nerve. Unfortunately Trigeminal Neuralgia is something that’s affecting dental patients and the pain can be so intense that it really cripples them. If you have any questions about trigeminal neuralgia, feel free to call us or make an appointment. We can take a look at your symptoms and if necessary make the proper referral to a neurologist. So if you would like more information, we’d love to have you come in. You can reach our Shelby Twp dental office at: 586-247-3500. Thank you and have a blessed day. 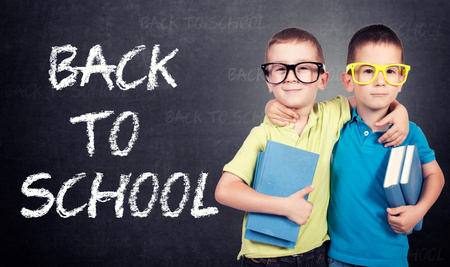 Schedule Your Kids Back to School Dental Visit Today! Hi, this is Dr. Antolak at TheGentleDentist.com in Shelby Township, Michigan. And today I just want to remind all the parents that it is time to schedule your kids back to school dental visit. It is time to get in though and have that dental checkup before life gets busy. You know, just as soon as the classes start, all of a sudden all these different scheduled appointments, you have sports, you have all these other things. So it’s best before the end of the summer to get in and get your kids taken care of. So if you have any questions, you can feel free to give us a call. Check our website out too. The website is TheGentleDentist.com. Our dental office is located on 22 Mile and Hayes in Shelby Township, Michigan. Our phone number is 586-247-3500. Hi, my name’s Dr. Robert Antolak from thegentledentist.com. We are located in Shelby Township, Michigan. Today I’d like to discuss with you a little bit about what makes our dental office in Shelby Twp unique. As people are searching online for a dentist we get new patients coming in to our Shelby Township dental office all the time. A lot of times on Google they will be searching out “dentists” or “dentists near me”. One of the things I always ask is, how did you find out about us. And they say it’s from searching on Google for “Dentists near me” or “Best dentists near me”. Then they look at our Google reviews and they are basically drawn in by the fact that we have patients who’ve been honest to share their experiences with the outside world. The reason why I’ve got so many 5 stars out of the 22 reviews (and it’s climbing) is because of the fact that we take such good care of their dental needs. I’ve been in practice for nearly 29 years and it has been something for me personally that I really enjoy; helping them transform themselves, and for us to develop a confidence level for them to continue to come in seeking dental treatment. But there’s a few things that we do beyond giving our dental patients injections that don’t hurt and treating them with respect. We use use special things like having noise cancelling headphones and an iPod. The iPod gives our dental patients the ability to just listen to music and relax. We use Pandora as our source and they can select a genre of music that comes right from our WIFII in our Shelby Twp dental office. We also have something special, these are glasses, 3D glasses that hook up to Netflix and our dental patients can watch a movie on Netflix just to take their mind off of the dental procedure. We use the nitrous oxide which helps with relaxation. And then for our really high dental fear patients, we have what’s called conscious sedation, which is a sleeping pill that people can take. We have many, many different ways to make our dental patients comfortable. But I believe that one of the biggest ways we do this is by sitting, listening to them, being compassionate, understanding what their dental needs are. That’s what makes us The Gentle Dentist and that’s what makes us successful. I am very thankful and God willing, we continue to provide such a service for our dental patients in Shelby Township, Michigan. If you’re interested and if you have dental fear or fear of the dentist and you’re interested in having dentistry done where you can have a happy dental home near you, please feel free to give us a call. Our Shelby Township dental office number is 586-247-3500. Sometimes a little pain can be a good thing, as our patient just explained. But if you find that your teeth are very sensitive or a cleaning makes you feel uncomfortable, we can provide nitrous oxide (Laughing Gas) or sedation dentistry for any of our services, including cleanings. At our office we try to be as gentle as possible. We just want you to have a positive experience and have proper treatment done the most comfortable way possible. For more information about our sedation dentistry or dream dentistry, call the Gentle Dentist today! Hi, I am Dr. Antolak from thegentledentist.com in Shelby Township, Michigan. We are a general dental office. That means that we have hygienists, and our hygienists obviously clean teeth and treat people for gum disease or periodontal disease. The one thing you’ll notice, probably like in most offices, is that there’s two different ways of cleaning teeth. One is using a standard scaler. They’re actually used to clean the tartar that builds up on teeth with gentle pressure. So this is one way to clean your teeth manually. So I’ll just kind of show you a little bit about how that works. If this was someone’s mouth, for example, you would just go down here, and it would just kind of scrape back and forth, like that. Okay? The other option that’s available, is something called a Piezo scaler that uses water. It kind of makes noise. I know no one likes these noises. It actually vibrates at such a quick pace, that it actually can start to clean off the teeth. It goes around the teeth and cleans, using gentle pressure, and it actually does more of an effective job by using the water. Water just kind of flushes that area out. It flushes the gum pockets out and cleans out the bacteria that’s in those deeper pockets because it vibrates at such a fast frequency. Almost like our Sonicare, it vibrates without the trauma from the scraping part of it. So there are certain situations in our office that you will have the standard scaler being used on you and there are certain situations where you’ll have the Piezo scaler used, depending on the case. I know that when we want to remove stains, it’s much more effective and efficient to use the Piezo scaler, which helps to reduce the tartar and the staining much, much more comfortably and much more effectively, too. At our office we try to be as gentle as we can possibly be. That means, if doing what I just did, requires you to be numbed up, so that you’re comfortable, we would provide that for you at no extra cost. We just want you to be comfortable at our office so that you have the correct treatment, proper treatment, and thorough treatment done, the most comfortable way possible. So, if you like comfortable dentistry and comfortable cleanings, give us a call. 586-247-3500 or visit us at thegentledentist.com, in Shelby Township. Thank you.